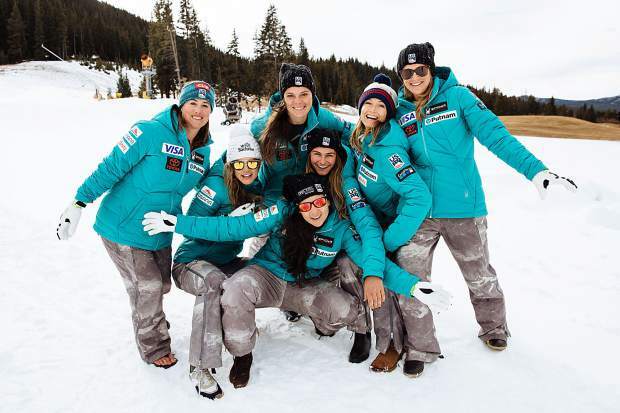 (From left to right) Stacey Cook, Breezy Johnson, Laurenne Ross Jacqueline Wiles, Alice Merryweather, Julia Mancuso, and Alice McKennis pose for a 2017-18 alpine team photo. 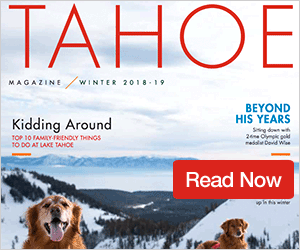 After more than two years since her last International Ski Federation (FIS) World Cup race, Squaw Valley icon Julia Mancuso was set to make her return to skiing on Friday, Dec. 8, at St. Moritz, Switzerland. Unfortunately, Mancuso’s return would have to wait, according to a statement from the FIS, as a dense fog, known locally as Maloja Schlange, hung over the super-G track, prompting officials to flip the events scheduled for the day, with slalom held first as part of the ladies’ alpine combined competition and super-G pushed back until later in the day. 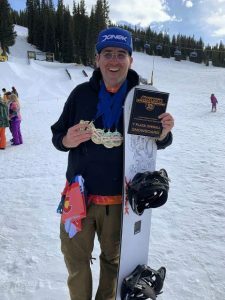 Mancuso would compete in the slalom race, but finished last of the athletes who completed the course with a time of 50.52 seconds for 41st place. Vail’s Mikaela Shiffrin, 22, posted the fastest time at 42.53. Truckee’s Stacey Cook, 33, also raced and finished with a time of 49.96 for 40th place. Unfortunately, the fog wouldn’t lift during the remainder of the day forcing officials to cancel the ladies’ alpine combined event and super-G.
Mancuso made her return to super-G the following day, but it wasn’t an eventful one as the American skied out of bounds shortly after beginning her first run. Switzerland’s Jasmine Flury, 24, won the race with a time of 1:02.59. Shiffrin was the top American with a time of 1:03.96 for 20th place. Cook was 45th with a time of 1:05.53. Mancuso wouldn’t get another opportunity to compete at St. Moritz, as the super-G and alpine combined events scheduled for Sunday, Dec. 10, were canceled, according to the FIS, due once again to poor visibility from snow and fog on the upper portions of the slope. Women’s World Cup racing is scheduled to resume on Saturday, Dec. 16, in Val d’Isere, France. Shiffrin is the defending overall champion, and currently leads the point race with 521 points. Germany’s Viktoria Rebensburg is in second with 376 points. Men’s alpine skiing returned to Europe last week after competition in Beaver Creek, Utah. U.S. skiers continued to struggle against the world’s best with Park City’s Ted Ligety, 33, posting the American’s fastest time during the two runs for a total time of 1:53.94 and a 16th place during giant slalom on Saturday, Dec. 9. Ligety struggled during his first run, but posted the fourth fastest time out of 30 competitors in the second run. France’s Alexis Pinturault, 26, won the race with a total time of 1:51.18. Tim Jitloff, 32, who grew up skiing in Tahoe and attended the University of Nevada, Reno, was the next fastest American with a total time of 1:54.43 for 20th place. Racing continued the following day with slalom, but no American was able to qualify for the final round of skiing. Local skier Mark Engel, 26, raced but did not finish his first run. In the smaller FIS Nor-Am Cup tour, Carnelian Bay’s AJ Hurt came into her race in Panorama, British Columbia, Canada, a week off her 17th birthday. And while she struggled in the first two events to open competition on Dec. 10, with a pair of did not finishes, Hurt rebounded the following day to post her third, first-place finish of the season in super-G. Hurt is currently in fourth place for the overall Nor-Am Cup race with 294 points. Canada’s Roni Remme leads the race with 502 points. Keely Cashman, 18, who also competes for Squaw Valley Ski Team, raced in Panorama as well last weekend and took a sixth and a third in super-G, and finished sixth in alpine combined. Also competing in Panorama and posting a ninth-place finish in super-G was Truckee’s Maureen Lebel, 19. Out of the Sugar Bowl Academy, 20-year-old Luke Winters also competed in Panorama last weekend, where he took a 20th and 15th place in super-G.
Erik Arvidsson, 21, who raced for Squaw Valley Ski Team, competed at an FIS event at Sunday River Ski Resort in Maine, on Dec. 8-9. Arvidsson didn’t finish the first day’s slalom event, but bounced back for a fifth place in the following day’s racing.